Posted By Nathan On March 14th 2015. Under Blog Tags: cfo resume . A CFO resume needs to present itself extremely well, in a high echelon job market. This is a senior executive resume, and it needs to make an impact. The whole resume needs to be planned and well formatted. If you’re writing a CFO resume, you need to be prepared to write a flawless document. The CFO role is for expert players, and job applications are extremely competitive. In this environment, the best resume wins. 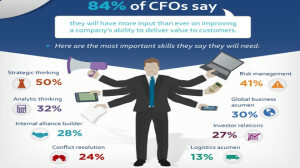 Most importantly, the CFO resume relates directly to a critical range of leadership skill sets and performance demands. The documentation of your credentials regarding these critical elements must be woven into the fabric of the CFO resume. 1 – Define Your Strengths as a CFO. Clearly develop these basic points into well-laid out, quantified achievements and demonstrated abilities. Your resume is, in fact, a synopsis of your skills in some ways and a “highlight reel” in others, showing your achievements and highlighting your abilities. You can then define your role(s) in context with both your core resume information and your other performance indicators. This method of creating a systematic picture of your credentials in financial management delivers a lot of high-quality information for your readers. Important note: Remember, when creating your resume, that you need to include metrics at all points. Hard dollar values, in particular, establish your “ranking” as a highly experienced financial officer, particularly in leadership roles. 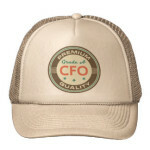 This is also a good way of showing your suitability for managing the very high status, heavy duty CFO work. Address each part of the CFO role by example using measures to delineate your achievements. This is your story board for your resume. Each part of your resume should build a clear picture of your suitability for the CFO position. Use the position’s essential skills as a map of your CFO resume’s information requirements. You’ll notice that you can provide a range of examples for each of the criteria. Focus on the best value examples, strongest achievements, and the benefits of your skills to the business. For more information regarding CFO resumes, see this link. Images are taken from fbnstatic.com, capgemini.com, rlv.zcache.com.au.